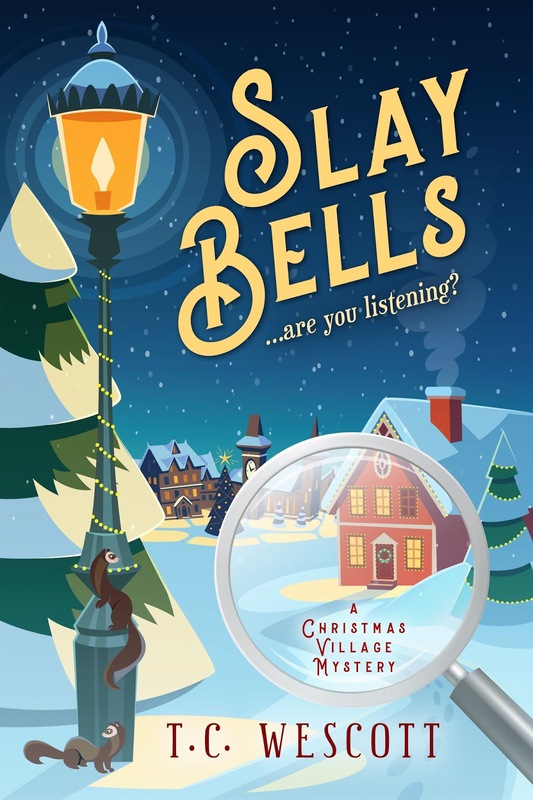 Slay Bells, the first of my Christmas Village Mystery series, is being released this month. Last July my first cozy mystery book, Running from Scissors, came out and its sequel, Running from Arrows, will be unleashed in January. These two are part of the Running Store Mystery series. All the books are full-length and were written back to back which means I’ve been very busy this last year. And I wouldn’t change a moment of it! Slay Bells introduces us to Maribel Claus who has lived her whole life in the magical village of Christmas. It’s the week of the annual grand Christmas Festival and all energy is devoted to the village’s legendary week-long celebration. Maribel’s friend, Rose, owns and runs Plum Cottage, a country inn, which is booked up by a circus troupe in town as entertainment. But when the guests start dying in inexplicable ways the village leaders realize that either a diabolical criminal is in their midst or a village legend – the Glockenvogel – has come to life and is terrorizing the village. It’s up to Maribel and her friends to figure out how the murders were committed so they can learn who is behind them. A howdunit and a whodunit! I’ve been a reader since I was a small child and although I didn’t realize it until I was much older, I’d always been a writer. As a five-year-old I wrote my own version of Dracula, complete with crayon illustration. While I’d like to think I’ve improved as a writer since kindergarten, my drawing skills still look like a blind mind trying to draw with his toes. In my twenties I tried writing again, this time it was young adult horror novels, but it was just for fun. This was the late 1990s and I’d bought into the dictum that it was impossible to break into publishing unless you knew somebody. I knew nobody. 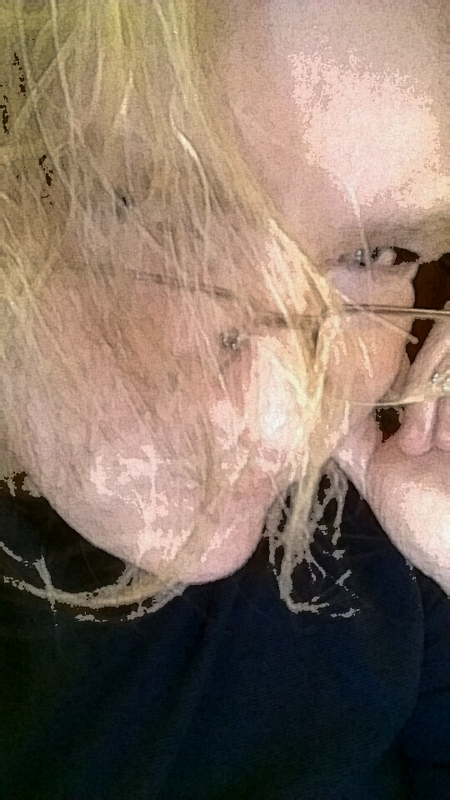 But I became interested in studying true crime and began writing articles for specialist journals. This led to the publication of my first history/true crime book in 2014. I self-published the book, expecting it might sell 300 copies over the course of a year or two. It sold that in a month and went on to win three awards and continues to sell steadily, as did the follow-up book I published in 2017. This led me to consider self-publishing fiction. I researched the field. This wasn’t hard to do since I was already a die-hard mystery reader. I knew mystery was the field I wanted to publish in. And I love the idea of the cozy mystery. However, I’m a huge fan of the classic mysteries of the Golden Age. I decided to write two different series: The Running Store Mystery series would be a contemporary cozy set in a small town with many of the popular tropes of the cozy genre. There was no series on the market devoted to running, so I decided that would be way to go so as not to be derivative. The Christmas Village Mystery series, which had lived in my head for years, is my attempt to take mysteries to the coziest place they’ve ever been while also offering an added level of mystery by resurrecting the ‘Locked Room’ mysteries made popular in the 1940s and onward by John Dickson Carr and, later, Ed Hoch. The series are also different in that the Running Store books are written in the first person and Christmas Village in third person. I can’t tell you how many paragraphs I’ve had to rewrite because I forgot which tense I was supposed to be writing in! It was important to me that my books compete with the big publishers on their own terms. This means good cover art. It turns out there are a lot of talented cover artists out there for independent publishers. It’s an expense, but a necessary one if you take your work seriously and expect readers to as well. I was also blessed to have an English professor in my circle and she agreed to work as copyeditor and proofreader on the books. And believe me, she has her work cut out for her! I dipped my toe into the audiobook market for Running from Scissors and will again for its sequel, which is a Valentine’s Day book and therefore a mystery cross-pollinated with romance, which I hope will expose me to a new market. Having learned a thing or two through this experience, I’m not diving into an audiobook with Slay Bells. Instead, I’m going to let the Kindle and paperback editions pay for themselves and then put the profits towards an audiobook edition next year or the year after. By then, the series should be three books strong and they can all be recorded and released at once. One of the best things that’s come from publishing Running from Scissors is the feedback I’ve received from fellow mystery readers. They totally ‘got’ what I was going for in doing a mash-up between the modern cozy and the more Golden Age style of storytelling. Most not only ‘got’ it but said they wanted more of that, so I know I’m onto something. The publishing label I’ve set up for myself, Better Mousetrap Books, will someday be expanded to find and publish other authors with a similar goal in mind – to elevate and advance the cozy mystery into its next phase. Sometimes to go forward you need to look back. By asking myself what made me fall in love with the mystery genre I’ve learned what elements are important to me to include in my books. To see others reacting in the same way to my material is a dream come true. Whether you’re a budding writer like myself or simply someone who loves a good mystery well told, I invite you to stop by Better Mousetrap Books’ Facebook page or head over to Amazon to pick up Slay Bells and Running from Scissors. Then let me know what you think and what YOU’D like to see happen to the cozy mystery genre over the next few years. It’s readers who decide the market, not writers and publishers, so what are things you’d like to see change, improve, or stay exactly as they are? Thank you for being part of the book tour for "Slay Bells" by T.C. Wescott. I really enjoyed reading the guest post and learning more about this new to me author. Can't wait for the opportunity to read the book.